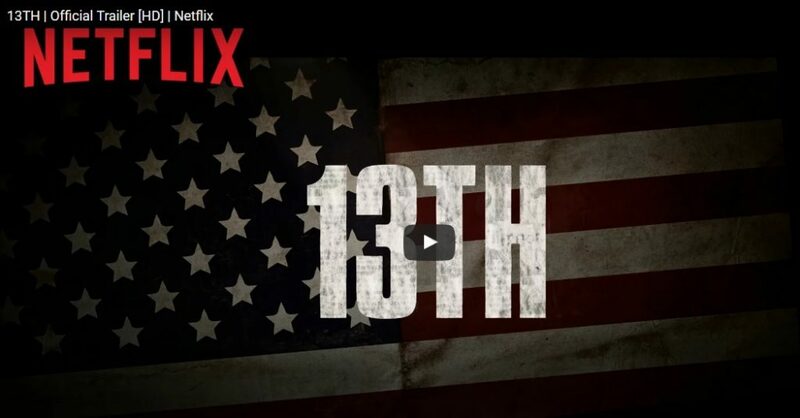 In a Netflix original documentary titled 13TH, to signify the 13th Amendment abolishing slavery, scholars, activists and politicians discuss and analyze the criminalization of African Americans in the United States. This thought-provoking film argues that the mass incarceration of African Americans across the United States is in fact an extension of slavery. See NPR Review. The filmmaker Ava DuVernay’s website features the documentary’s official trailer along with a list of reviews from variety of newspapers. Check it out!